If you have yet to hear about Project Liberty, it’s Mark J. Grossman’s job to make sure you do. 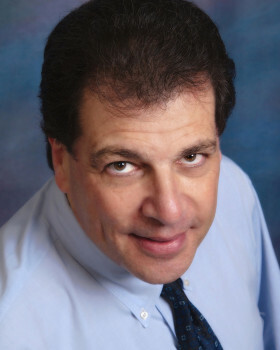 Grossman, chief executive of the Holtsville-based Grossman Strategies public and government relations firm, handles the Suffolk County marketing of Project Liberty, which provides free crisis counseling services to those in the metropolitan area who are having trouble coping with the Sept. 11 attacks. The project is administered by the state Office of Mental Health and is sponsored by the Federal Emergency Management Agency and the Center for Mental Health Services. It’s a collaboration of local mental-health organizations to provide counseling services under the umbrella of Project Liberty. Grossman’s firm has begun a public awareness campaign promoting the program in Suffolk County through a co-marketing effort with local media outlets, such as weekly community papers in Suffolk and Long Island radio stations. The firm is taking advantage of an existing months-long Project Liberty television and radio public service campaign, which the state hired an outside agency to develop. The spots star actress Susan Sarandon and New York Yankees manager Joe Torre, and Grossman’s firm will change the end of the spots to show a local number, 631-853-8560, for Suffolk County residents. The city also hired an agency to develop a campaign that included subway ads. Although the campaign is in its early stages, Grossman said the firm is developing partnerships and will kick off the campaign April 16 with a joint news conference with Suffolk County Executive Robert Gaffney and Nassau County Executive Thomas Suozzi. Whether a second phase of the campaign is needed will depend on the success of the first phase, which will end around May 1. Meanwhile, some of the other half-dozen mental-health firms are trying to spread awareness among their own communities.